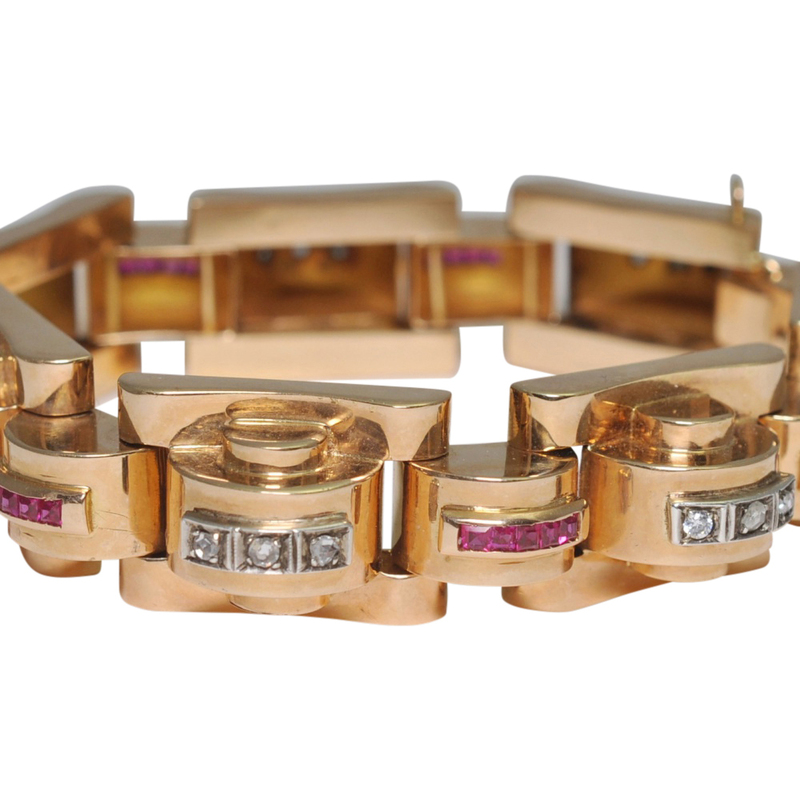 Art Deco Tank bracelet in 18ct rose gold with rubies and diamonds. 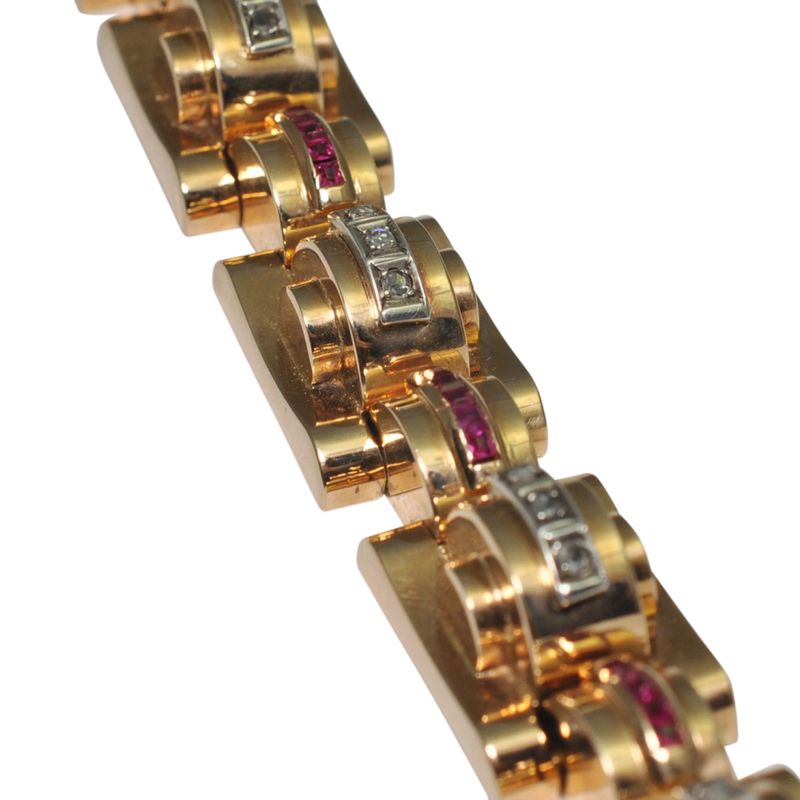 It is set with 8-cut diamonds totalling 0.60ct and a mixture of synthetic and natural rubies (rubies untested). 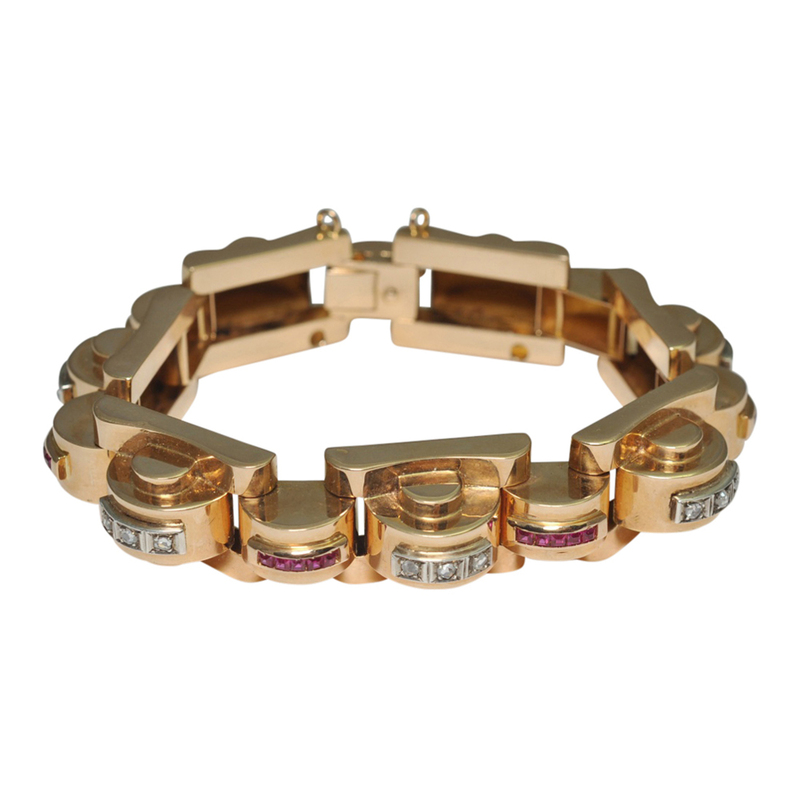 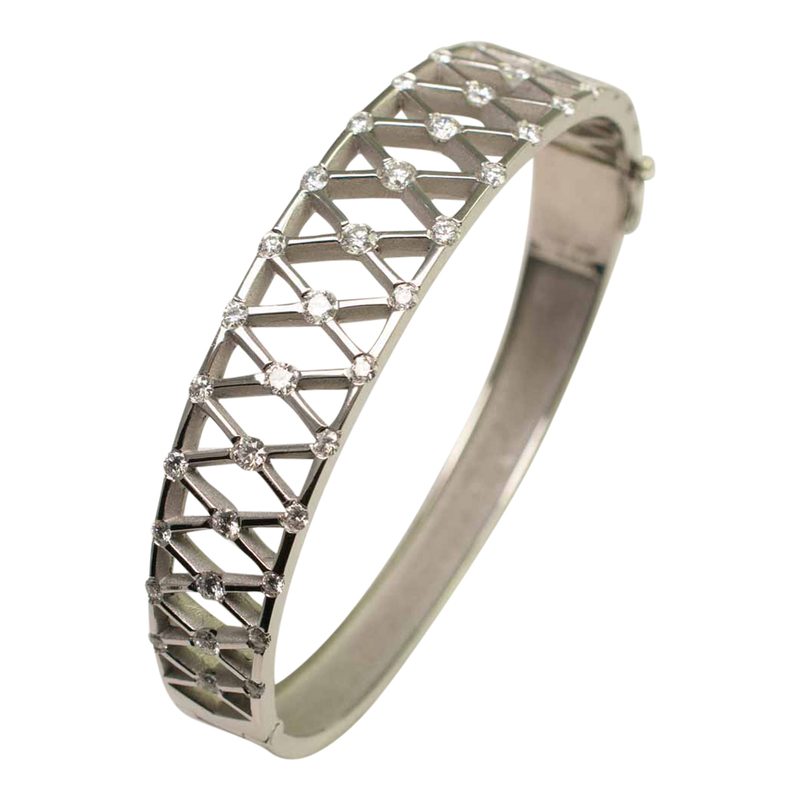 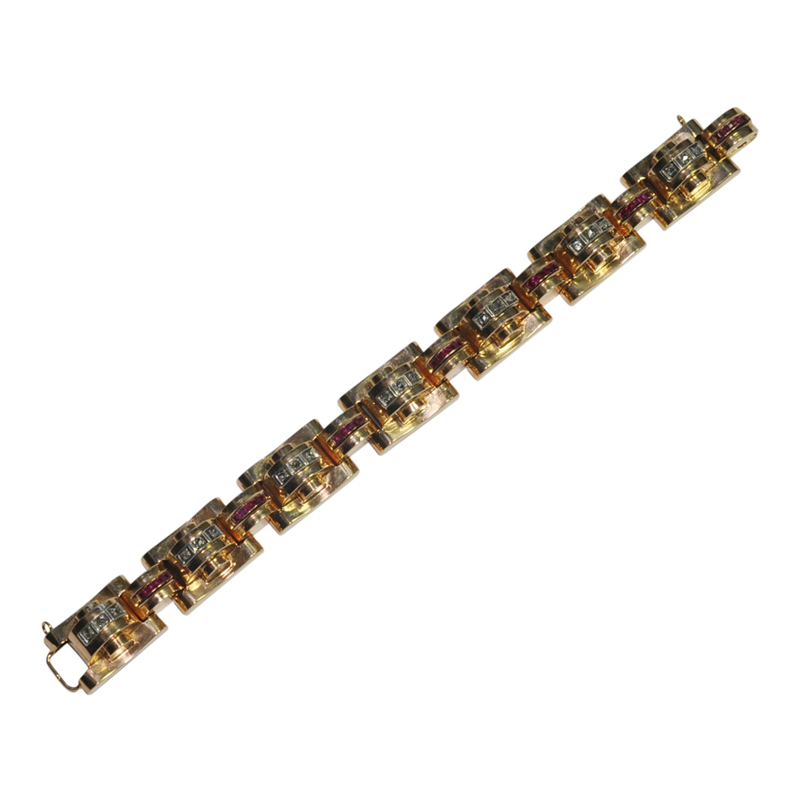 This lovely bracelet is composed of articulated sections and weighs 44.2gms. 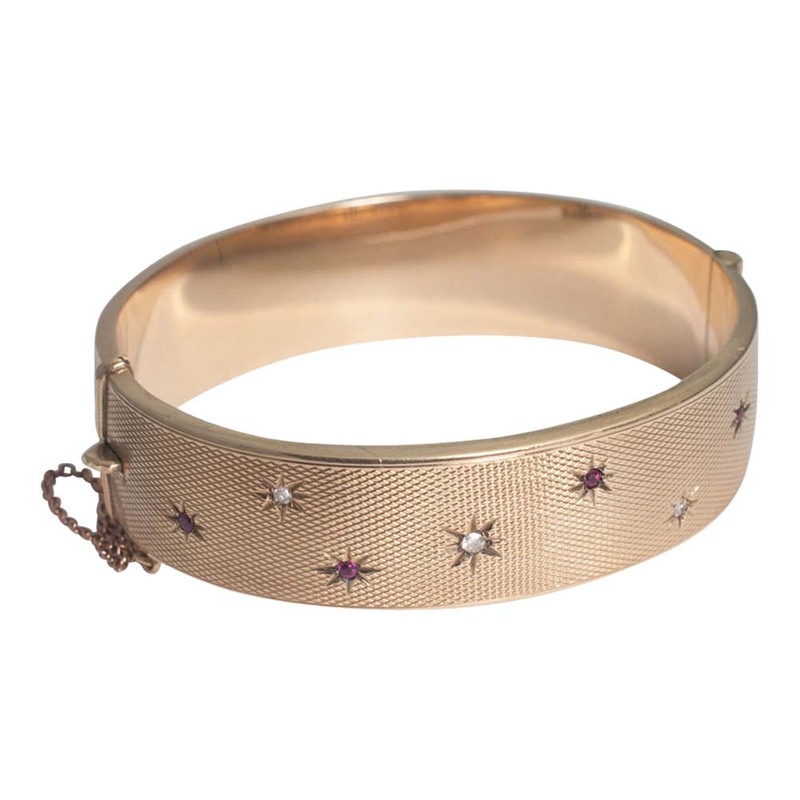 It is in the traditional tank design, so popular in the 1940s and it has been handcrafted in a lovely rich rose gold colour. 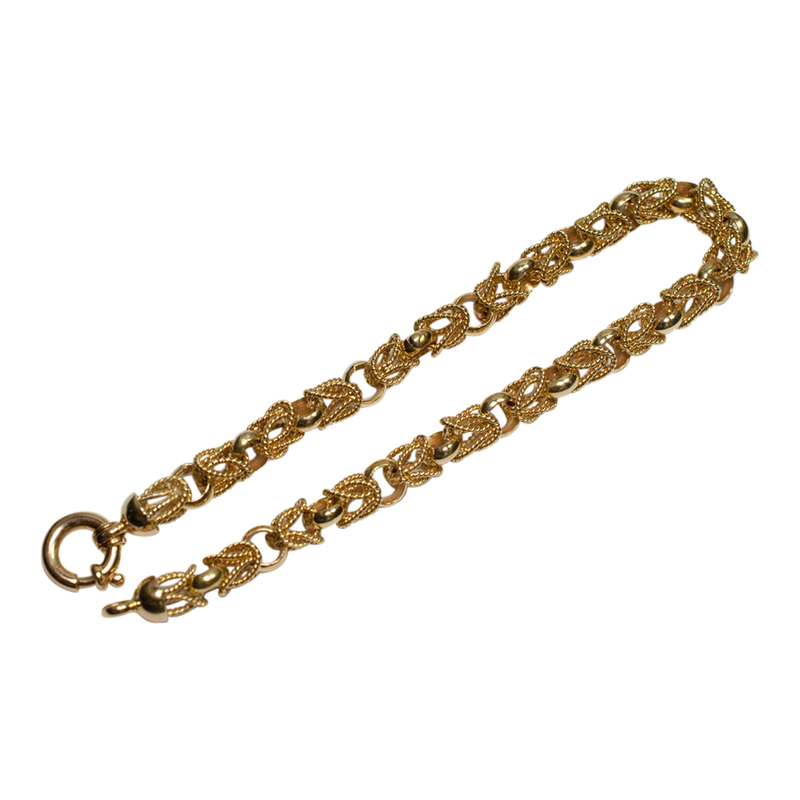 It has an invisible clasp which is formed of part of one of the links and has two rings to fit a security chain should it be required. 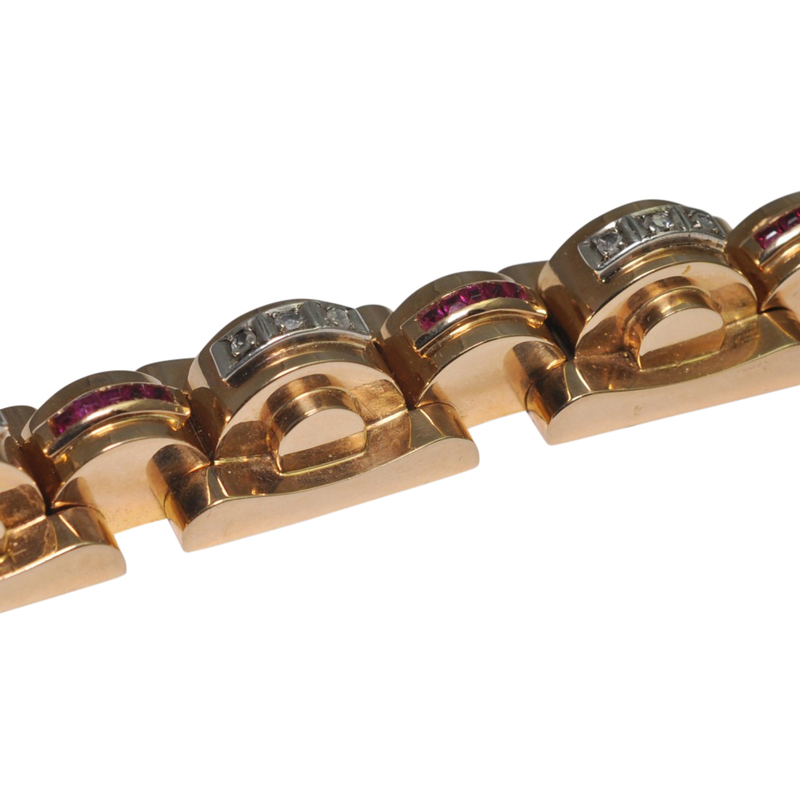 It was made in Egypt by craftsmen during WW2 when natural rubies were extremely hard to come by, so a mixture of natural and synthetic ones were used. 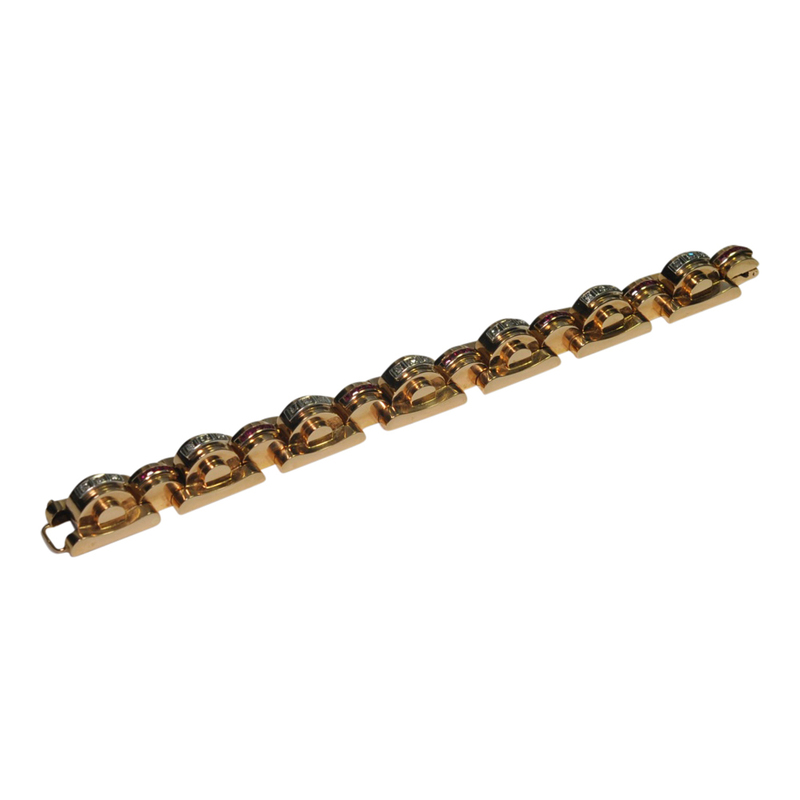 This bracelet would have been made for a diplomat or someone of stature in Egypt at that time. 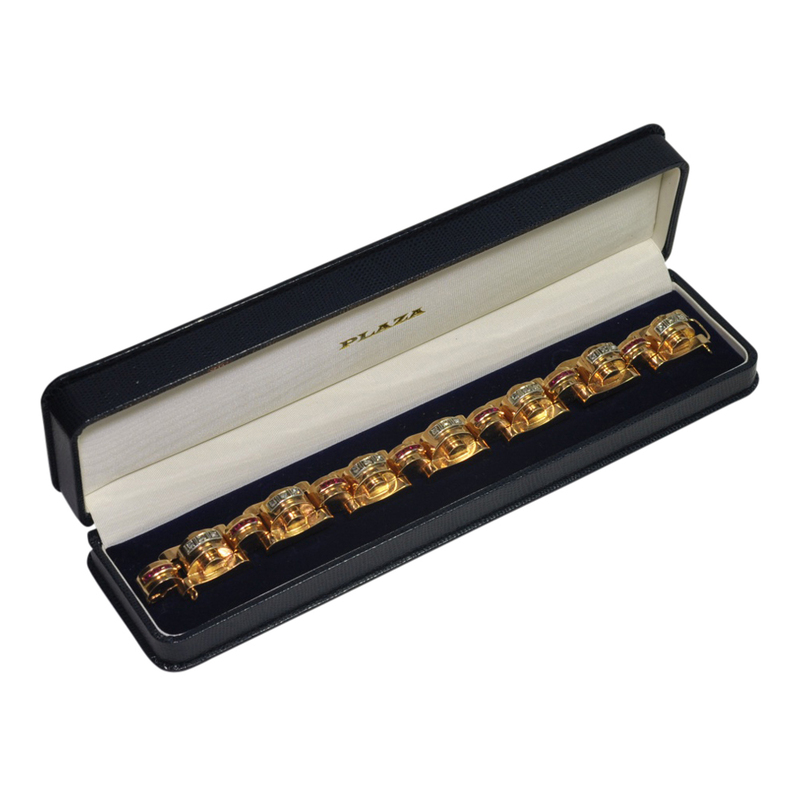 There are several 18ct gold Egyptian assay marks to denote the gold grade. 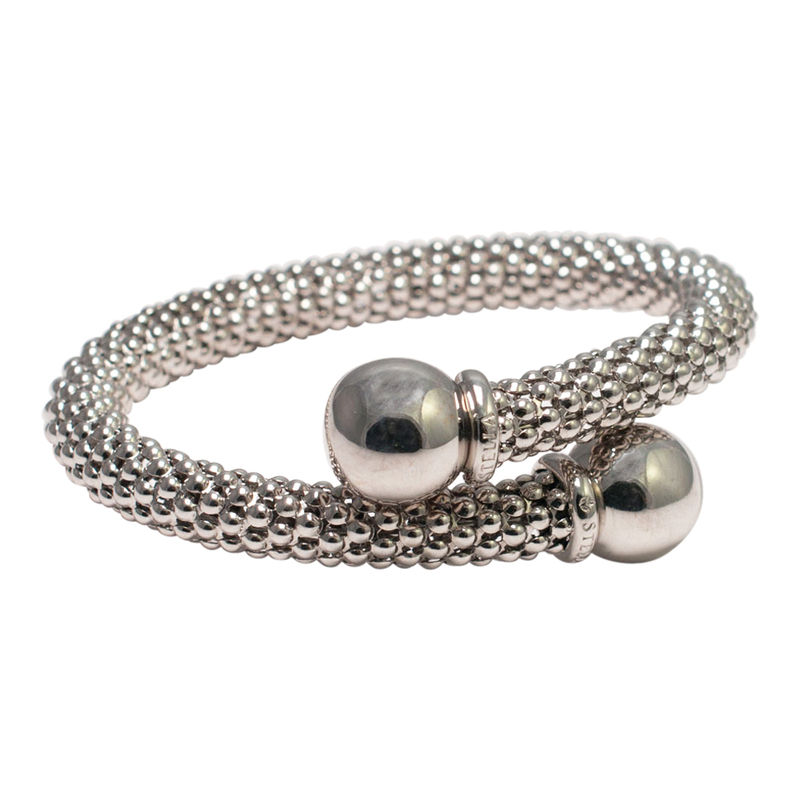 Length 20.5cms x 1.75cm wide x 1.25cm depth. 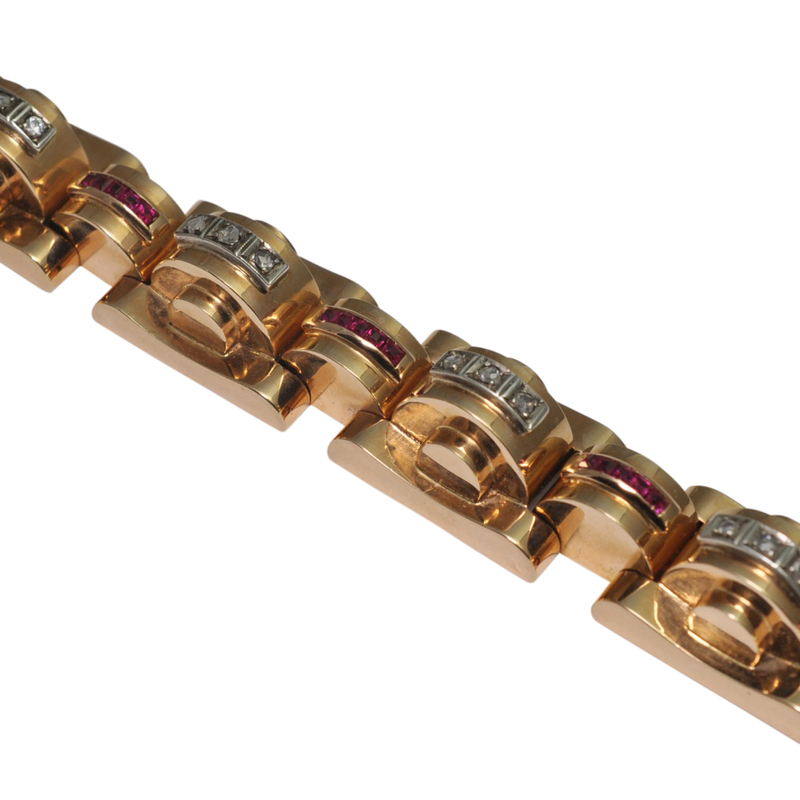 The bracelet is in excellent condition.